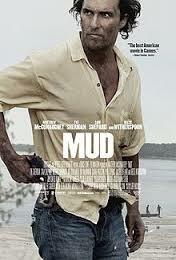 “Mud” is an adventure about two boys, Ellis and his friend Neckbone, who find a man named Mud hiding out on an island in the Mississippi. Mud describes fantastic scenarios—he killed a man in Texas and vengeful bounty hunters are coming to get him. He says he is planning to meet and escape with the love of his life, Juniper, who is waiting for him in town. Skeptical but intrigued, Ellis and Neckbone agree to help him. It isn’t long until Mud’s visions come true and their small town is besieged by a beautiful girl with a line of bounty hunters in tow. Director Jeff Nichols (Take Shelter) joins us for a conversation about love and trust on the Mississippi River. 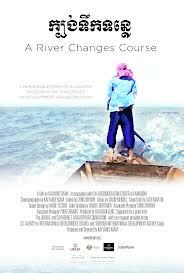 Winner of the 2013 Sundance Film Festival’s Grand Jury Prize for World Cinema Documentary, A River Changes Course explores the damage rapid development has wrought in her native Cambodia on both a human and environmental level. Rural communities, used to reaping the bounty of their mountainous jungles and lush rivers, have witnessed their forests being cleared, land becoming scarce and costly, and fishing stocks rapidly depleting. No longer able to provide for their families, and often accruing massive debt as a result, many Cambodians have been forced to leave their rural lives behind to seek employment in the industrial factories of Phnom Penh. Director Kalyanee Mam stops by to ruminate on her award winning film and love of her native country’s disappearing culture. 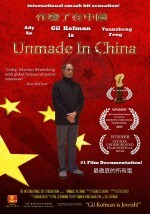 Unmade in China follows American director Gil Kofman as he travels to Xiamen, China to direct the Republic’s first ever thriller, Case Sensitive. Once there he discovers that the old adage of making a film three times, once in the writing, once in the shooting and once in the editing, is in fact just the opposite in his host country, where his film is unmade three times. 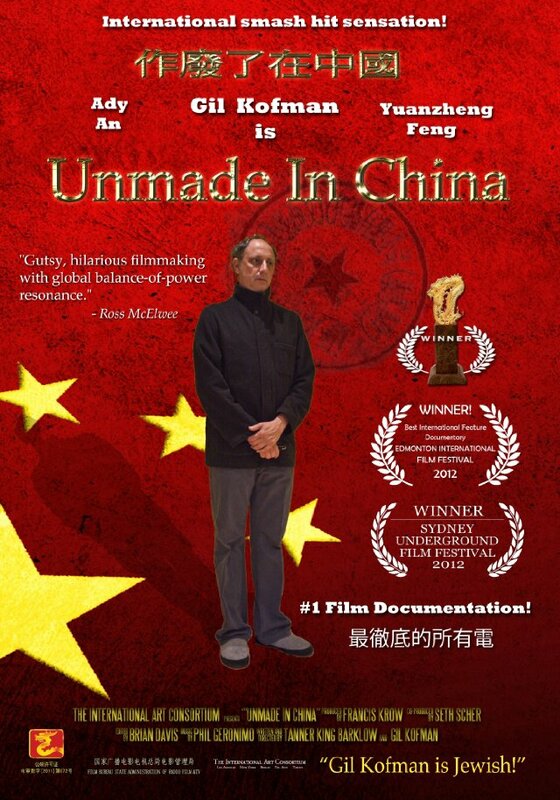 Undaunted by his inability to speak or understand the Mandarin language, Kofman directs his frequently recast actors through a translator as government censorship and constant cultural mishaps hijack his script and derail production. Like Man of la Mancha set in Communist China, there has never been a film quite like this. Director Gil Kofman (Case Sensitive) and director Tanner Barklow (Unmade in China) joins us for a conversation about the travails and triumphs of filmmaking in the People’s Republic. Painstakingly created over the course of the last fifteen years, Chris Sullivan’s debut animated feature is an absolute marvel to behold. 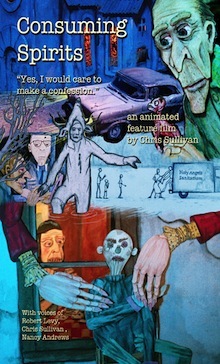 Employing multiplane cut-outs, drawings on paper and stop motion (all shot on 16mm), Sullivan weaves a psychologically dense chronicle of a crumbling Rust Belt town, and the intermingled lives of three lonely souls who work at its local newspaper. Unfolding like a vision quest from the mind of a memory-haunted insomniac, it tenderly navigates its ugly characters down twisted paths upon which their pasts, fears, and longings converge. This is a totally singular and eerie landscape, dotted with ghost-ridden farmhouses, midnight car accidents, late night radio broadcasts and the world’s oldest cat. Painted with frequent strokes of unexpected humor and rendered with a beautifully rough hewn craft emphasizing its characters’ fragility, it emerges as a quiet feature-length epic unlike anything you’ve ever seen: adult, complex and brimming with the irrepressible spirit of American independent filmmaking.. Director/ Writer/ Producer Chris Sullivan joins us for an extended conversation on this stunningly original animated film. Be sure to see Chris Sullivan for the 8:00 PM Friday and 7:00 PM Saturday screening at the Cinefamily – 611 N. Fairfax Avenue, Los Angeles. 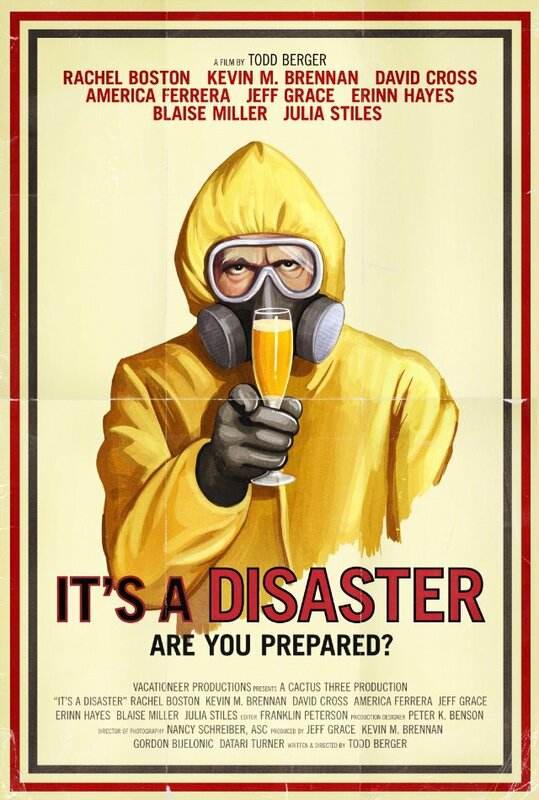 In this doomsday comedy, four couples meet for Sunday brunch and find themselves stranded in a house together as the world may be about to end. When Tracy Scott (Julia Stiles) decides to introduce her new beau Glenn (David Cross) to her three friends Hedy (America Ferrera), Emma, and Lexi and their significant others, her biggest fear is whether or not her friends will approve of her new relationship, little does she realize that’s the least of her worries. 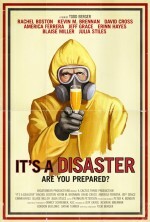 Before long the couples find themselves in the midst of an apocalyptic disaster, catching them all off guard. One thing is clear; these four couples aren’t going to let the potential end of the world get in the way of the relationship issues they all need to work out. Director Todd Berger joins us to shed some light on how best to embrace the end times. Kris is derailed from her life when she is drugged by a small-time thief. But something bigger is going on. She is unknowingly drawn into the life cycle of a presence that permeates the microscopic world, moving to nematodes, plant life, livestock, and back again. Along the way, she finds another being—a familiar, who is equally consumed by the larger force. The two search urgently for a place of safety within each other as they struggle to assemble the loose fragments of their wrecked lives. Director/Writer/Actor Shane Carruth stops by Film School to talk about his “heart-stoppingly” beautiful film mediation. 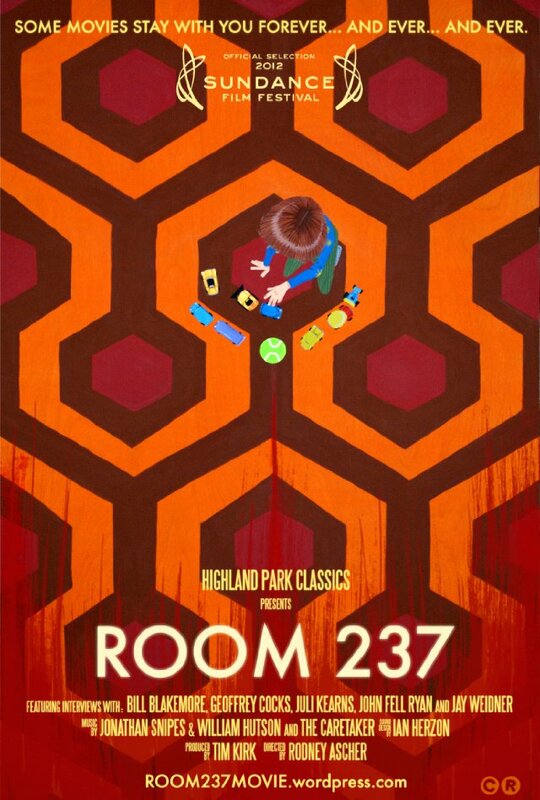 In 1980 Stanley Kubrick released his classic horror film, THE SHINING. Over 30 years later, viewers are still struggling to understand its hidden meanings. Loved and hated by equal numbers, the film is considered a genre standard by many loyalists, while other viewers dismiss it as the lazy result of a legendary director working far below his talent level. In between these two poles, however, live the theories of ardent fans who are convinced they have decoded THE SHINING’s secret messages regarding genocide, government conspiracy, and the nightmare that we call history. 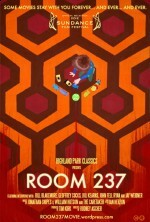 Ascher’s ROOM 237 fuses fact and fiction through interviews with the fans and scholars who espouse these theories. Ideas of five devotees of the film with wildly different ideas about its true meaning are braided together in a kaleidoscopic deconstruction of the horror classic. Director Rodney Ascher joins us for a conversation on the joy of interpretation and discovery, wherever you find it. 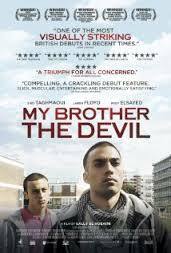 Mo is a young boy growing up in a traditional Egyptian household, but beyond the front door of the family’s modest London flat is a completely different world – the streets of Hackney. The impressionable Mo idolizes his handsome older brother Rashid and wants to follow is his footsteps. However, Rashid, a charismatic and shrewd member of a local gang, wants a different life for his little brother and deals drugs hoping to put Mo through college. One eventful summer, Rashid’s sexual awakening forces Mo to confront his own fears and phobias and threatens to tear the brothers apart. Director Sally El Hosaini stops by to talk about her beautifully rendered feature film debut.